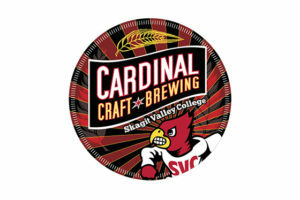 Stop by our classroom turned taproom on Friday nights from 4-8 pm to sample beers created by students enrolled in Skagit Valley College's Cardinal Craft Brewing Academy. 8 beers on tap -families welcome! Pints, flights and growler fills. Anacortes Rockfish Grill and Brewery, 314 Commercial Ave.
Our 17th annual BrewFest on the Skagit, the Skagit's longest running Craft Brew Festival, is set for Saturday, August 10th from 4:00 to 9:00pm at Skagit Riverwalk Park in downtown Mount Vernon, featuring dozens of local craft brews, three of the regions most popular bands, leisure games, and local food trucks.